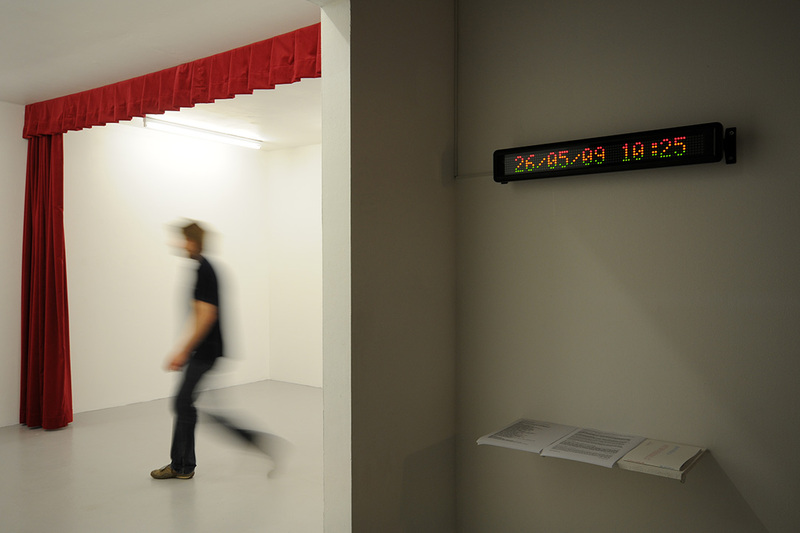 Reality Show, CirkulationsCentralen, Malmo, 2009. 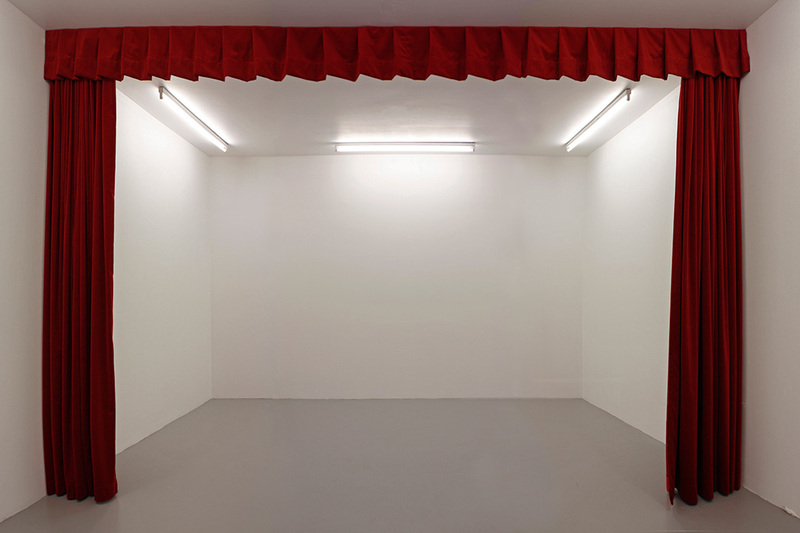 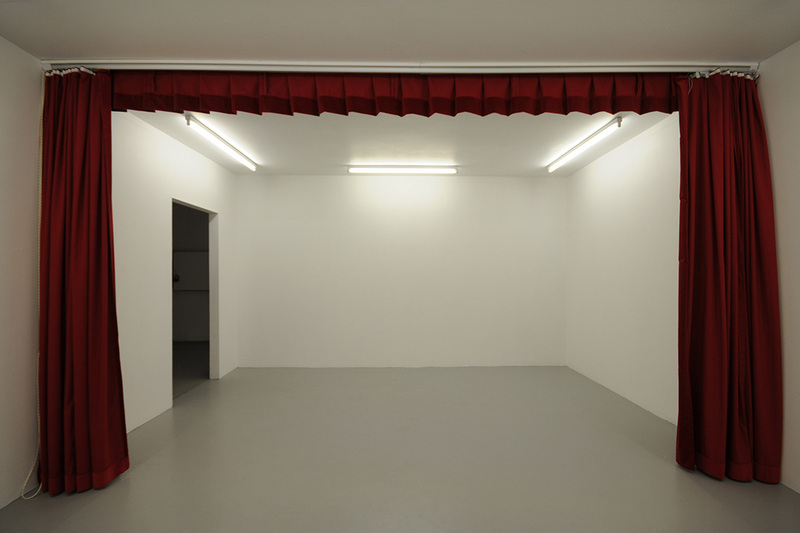 Gallery divided into two equal parts by red velvet theatre curtain. 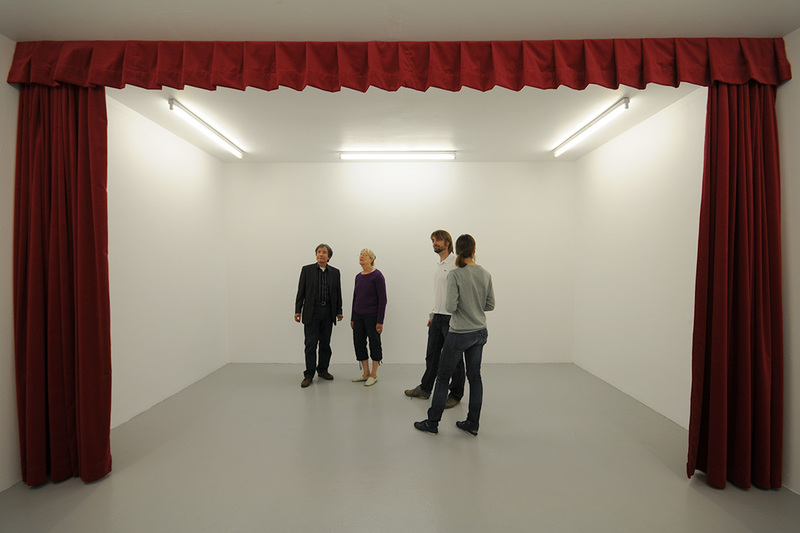 People could interact with the curtain and the space. 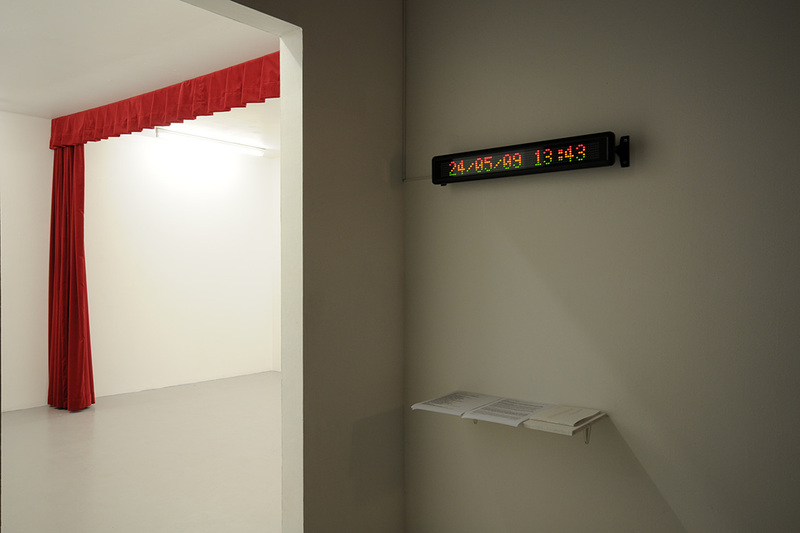 Outside a digital display showed time, date and title of show.